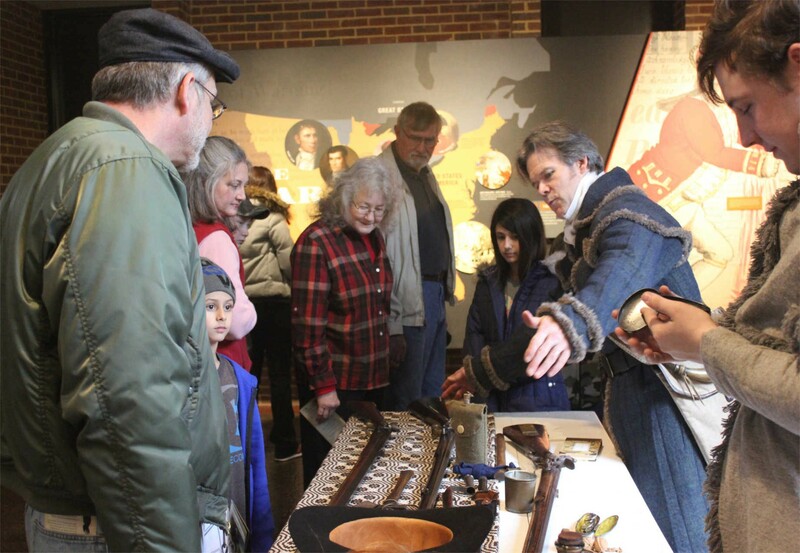 A public demonstration at Andrew Jackson's Hermitage. NEH funding to Andrew Jackson’s Hermitage has included support for archaeological investigations, the restoration of the plantation’s interior, and a full reinterpretation of the site. Image courtesy of The Hermitage. Andrew Jackson developed The Hermitage, which he purchased in 1804, from a two-story log house into a working cotton plantation, the source of his wealth. 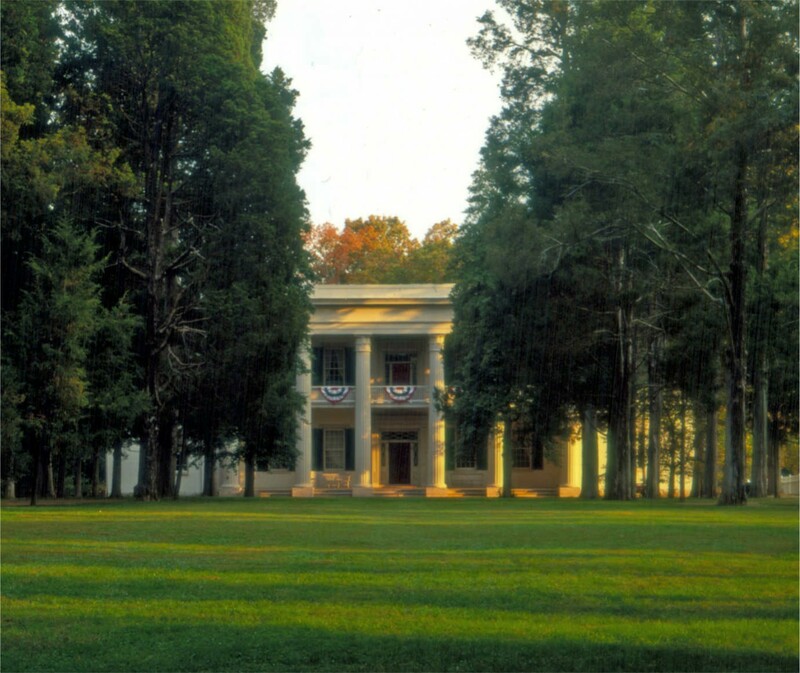 NEH funding to Andrew Jackson’s Hermitage has included support for archaeological investigations, the restoration of the plantation’s interior, and a full reinterpretation of the site. Cumulatively, these grants have ensured that the historical information presented by the site is accurate and engaging for visitors. The facade of The Hermitage. An NEH challenge grant helped transform the mansion into a place “Jackson would know if he came back now.” Image courtesy of The Hermitage. In the 1990s, the NEH awarded Andrew Jackson’s Hermitage a challenge grant that did far more than help it raise an additional $1.1 million. Vice President of Museum Services & Chief Curator for the site, Marsha Mullin, recalls research developments had helped the staff realize the mansion was not historically accurate. The challenge grant helped transform the mansion into a place “Jackson would know if he came back now.” Restoring the Hermitage’s interior led to both a greater public interest in the presidential site and the desire to undertake a more complete interpretation of the estate. 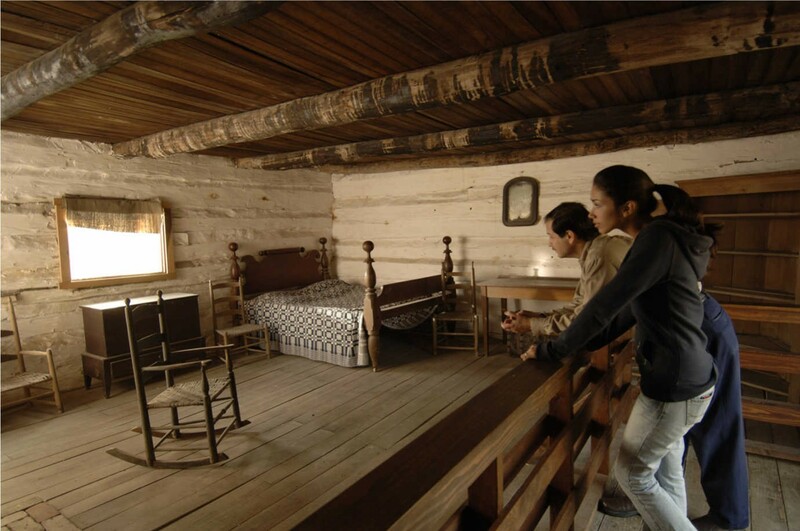 Alfred's Cabin, one of three slave sites still standing at The Hermitage. Image courtesy of The Hermitage. 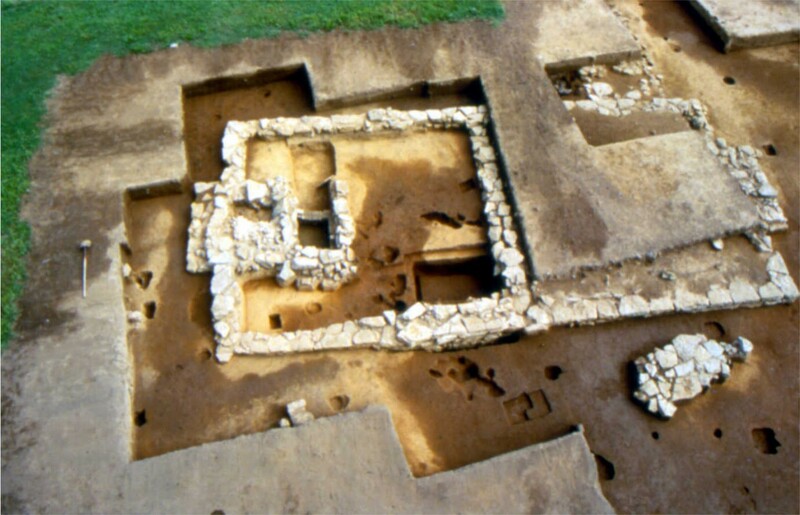 The excavation of the grounds at Andrew Jackson's Hermitage. Image courtesy of The Hermitage. An egg excavated during an archaeological dig at The Hermitage. Image courtesy of The Hermitage. Using knowledge gained from their archaeological investigations, Andrew Jackson’s Hermitage undertook to interpret the grounds, visitor center, and house through six major themes: growing democracy, slavery and the cotton economy, Native Americans and westward expansion, the changing roles of women, reform and religion, and creating a new American culture. Now, visitors to the site can listen to an audio guide as they walk the grounds as well as read 30 interpretive signs that have been placed around the property. In the visitor’s center, they can view a film exploring Jackson’s career. 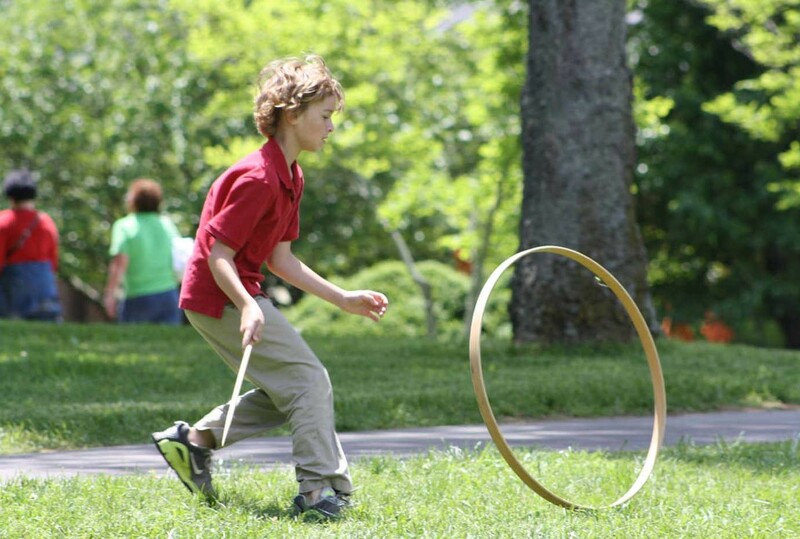 A visitor plays with a hoop, a common nineteenth-century children's game, on the grounds at Andrew Jackson's Hermitage. Image courtesy of The Hermitage. 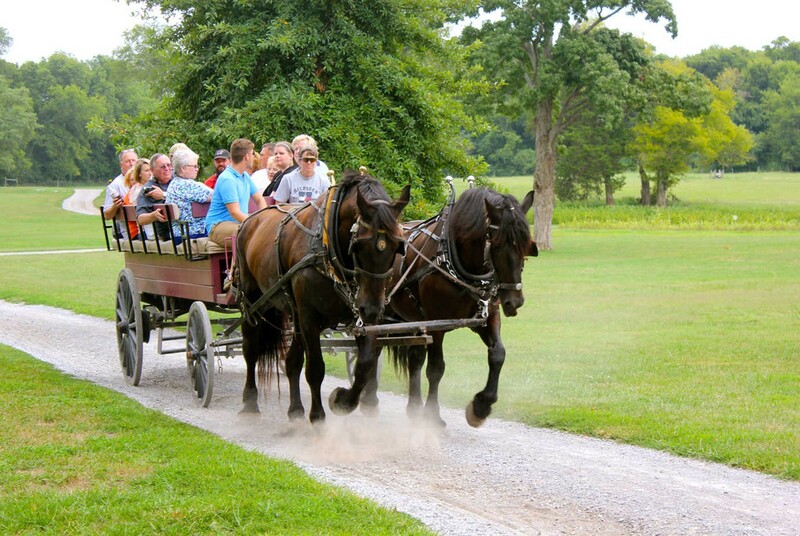 A wagon ride at Andrew Jackson's Hermitage. Image courtesy of The Hermitage. NEH funding has also helped Andrew Jackson’s Hermitage build new partnerships. 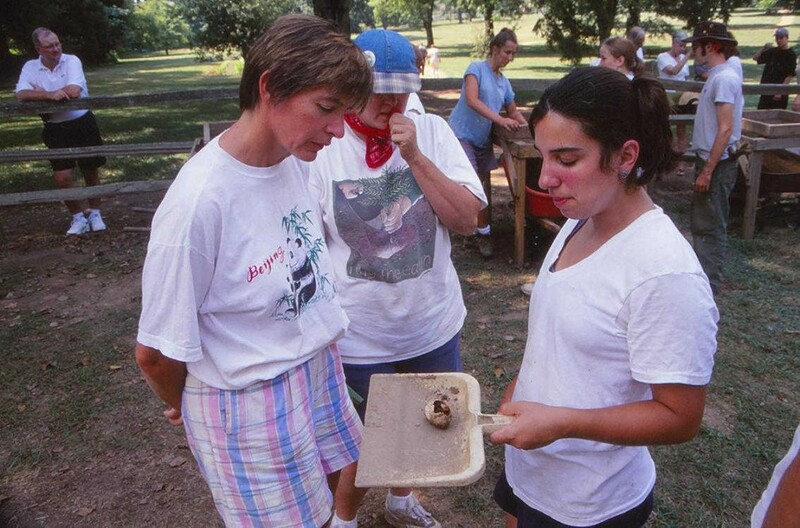 With Middle Tennessee State University, The Hermitage has provided NEH professional development workshops for 320 K-12 teachers on the history of the estate, Andrew Jackson, and nineteenth-century America. Most recently, The Hermitage worked with Thomas Jefferson’s Monticello to digitally archive the 800,000 artifacts that have been found on the site’s former slave quarters. These are hosted online through the Digital Archive of Comparative Slavery. 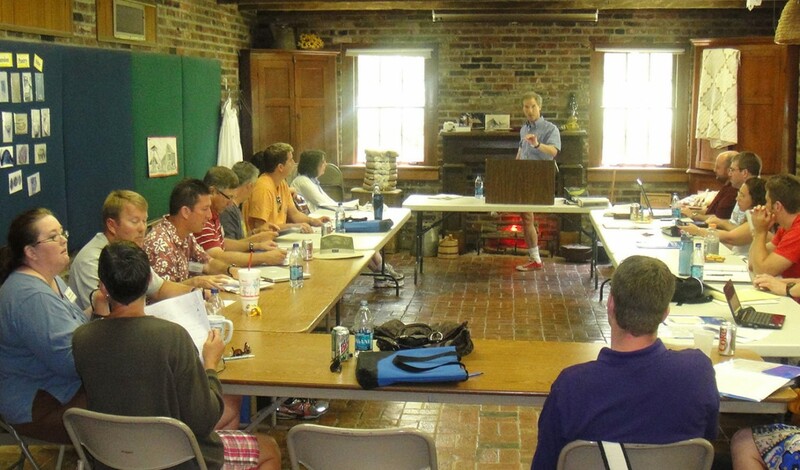 Teachers NEH Landmarks workshops at Andrew Jackson's Hermitage learn about the Jackson and the United States in the nineteenth century. Image courtesy of The Hermitage.